Offering you a complete choice of services which include dual machine pharma refrigerated container on rent, pharmaceutical cold storage room service and certified refrigerated container hiring service. 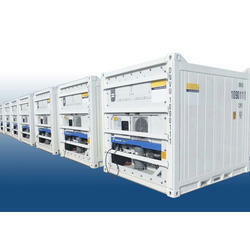 We are instrumental in offering a comprehensive range of Dual Machine Pharma Refrigerated Container on Rent. These are rendered by qualified professionals according to the client’s requirements. As well, these services are extensively cherished owing to their perfection, cost effectiveness, timely completion, promptness, and reliability. 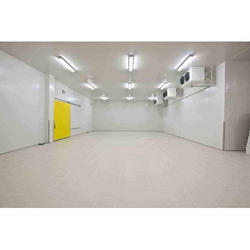 Backed with years of experience in this domain, we have been able to offer a large collection of Pharmaceutical Cold Storage Room Service. These are rendered using top grade resources. Offered services are admired due to their reasonable price, perfect results, and client-focused approach. 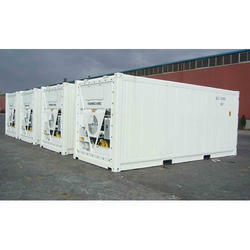 Our organization is offering a large array of Certified Refrigerated Container Hiring Service to our valued clients. Rendered by us in user-defined specifications, these are used in various fields. In addition to this, the offered array of hiring services is rendered using the latest technology and top grade materials within a limited period of time.